Temporary repairs to the Manawapou Viaduct after a March 1966 flood. The bridge was fully repaired about three years later. REPAIRING THE WHENUAKURA BRIDGE, ON THE PATEA-WAVERLEY SECTION OF THE RAILWAY, TARANAKI, WHICH WAS WRECKED BY A FLOOD IN THE WHENUAKURA RIVER ON JANUARY 12, 1922. Gisborne is the terminus of the Palmerston North Gisborne Line, a 390 km route from Palmerston North via Woodville, Napier and Wairoa. 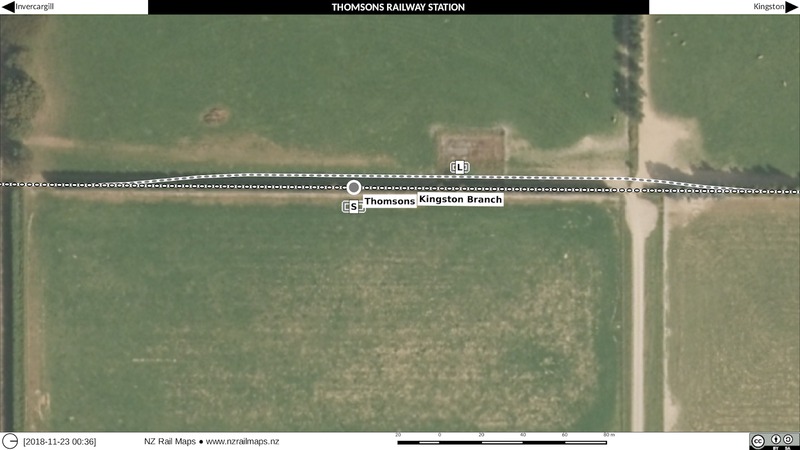 The route was originally planned as part of a railway from Auckland to Gisborne via Opotiki; the railway was completed from Auckland to Taneatua as the East Coast Main Trunk and from Gisborne to Moutohora as the Moutohora Branch with around 100 km of gap between them that was never built. 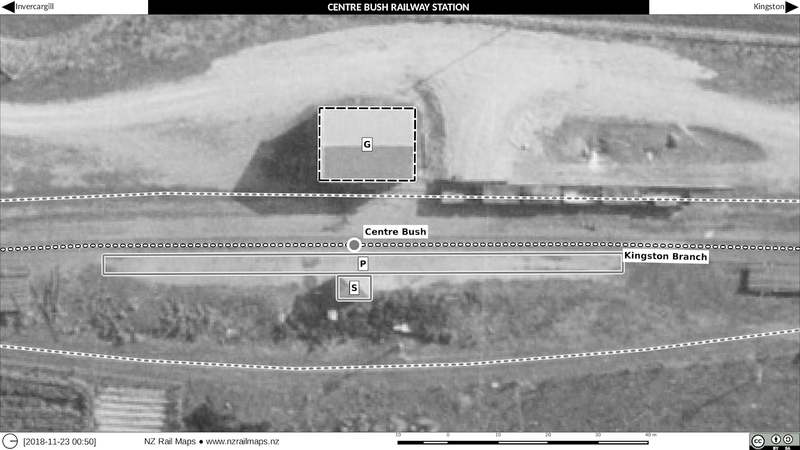 Instead, the railway reached Gisborne from the south. 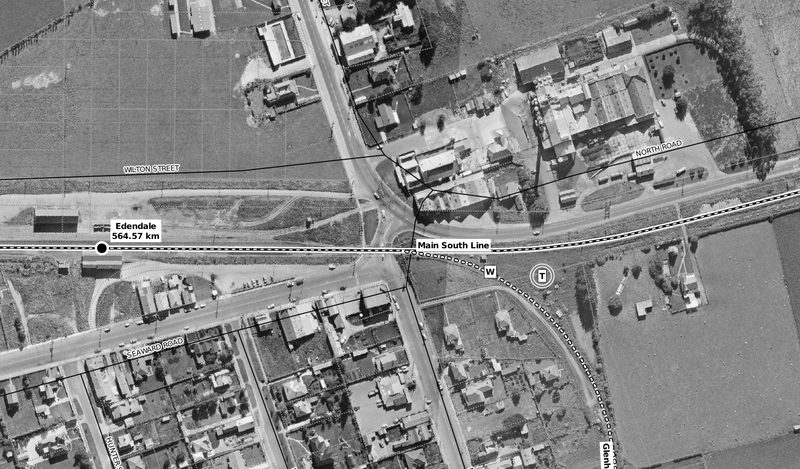 The main line from Palmerston North to Napier appears to have started at Napier heading south, with the first section opened in 1874. The last part through the Manawatu Gorge was completed in 1891. The Palmerston North to Napier section of railway is noted for some large viaducts that originally were all constructed of wood. From Napier heading north the route was built in several stages. The first part was actually constructed from Wairoa to a port at Waikokopu and opened in 1923. This was not actually intended to be part of the national network at that time, and the route of the main line was originally intended to go further inland. 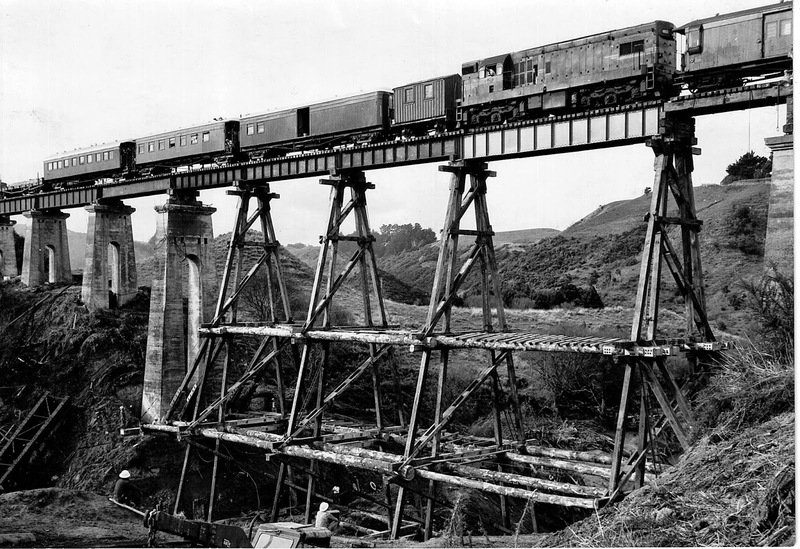 This resulted in a line west and north from Gisborne to Ngatapa being built and opened in 1915, and also a section of formation being constructed from Wairoa to Frasertown. Also in the early 1920s the first section of the route from Napier to Wairoa was opened from Napier to Eskdale. This was extended to Putorino in 1930, but was closed the following year because of major damage from the Hawkes Bay earthquake and the effects of the Great Depression. It was eventually re-opened in 1936. By that time it had been decided the inland route via Ngatapa would not be pursued further, the Ngatapa Branch having closed in 1931. From Putorino the line to Wairoa was finally completed in 1939, and with the existing section to Waikokopu incorporated there were now 333 kilometres of track open. 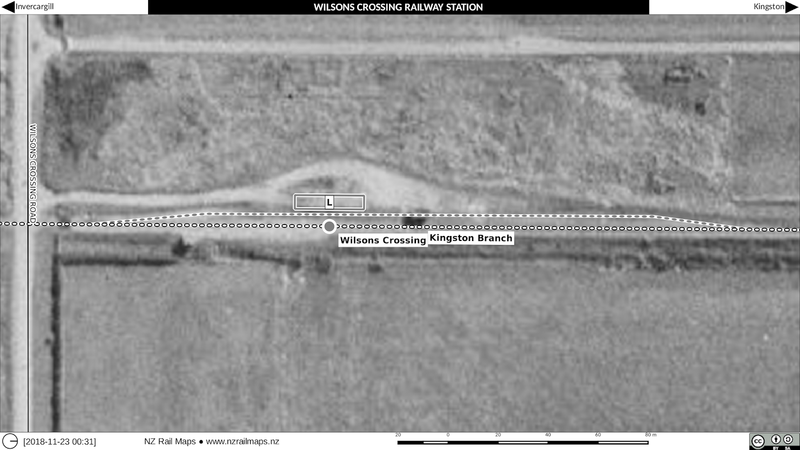 The rest of the 57 km to Gisborne was pushed ahead as a matter of priority despite the onset of WW2 and a number of competing railway projects around NZ, and was completed in 1942. It was constructed through rugged and difficult country incorporating several very long tunnels and numerous bridges and large embankments. 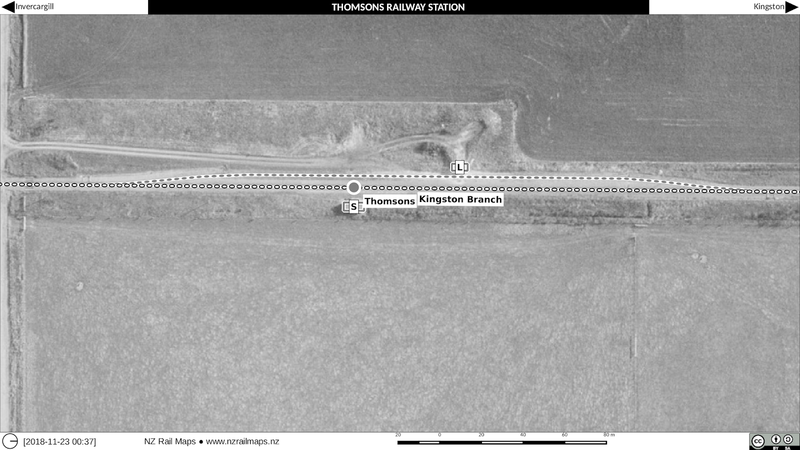 Whilst the railway from Palmerston North to Napier has always been an important secondary main line in NZ, the section from Napier to Gisborne has never been of major importance in the volume of traffic carried and there have been struggles to keep it open due to poor economic and geological conditions in the Gisborne region. 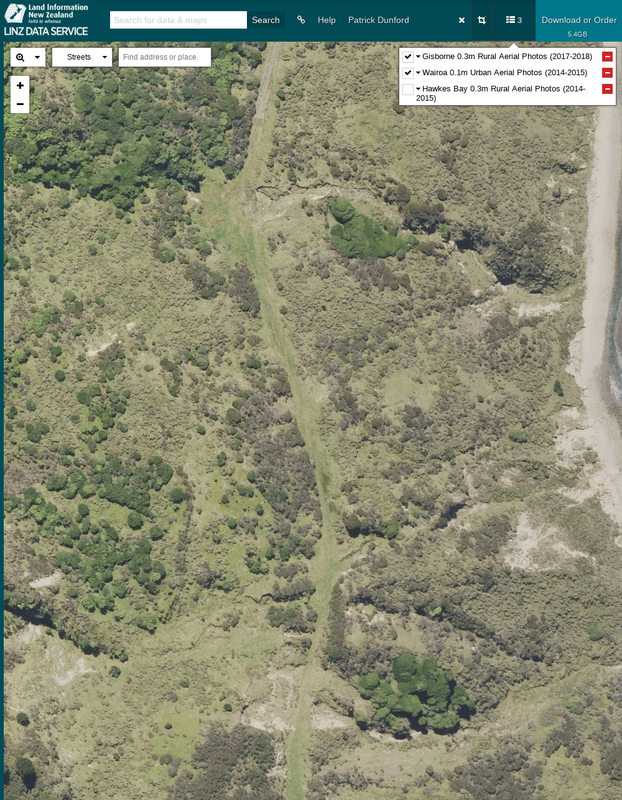 There have been a number of major landslides and other significant issues especially in the Waikokopu to Gisborne section in the 70 years that it was open for. 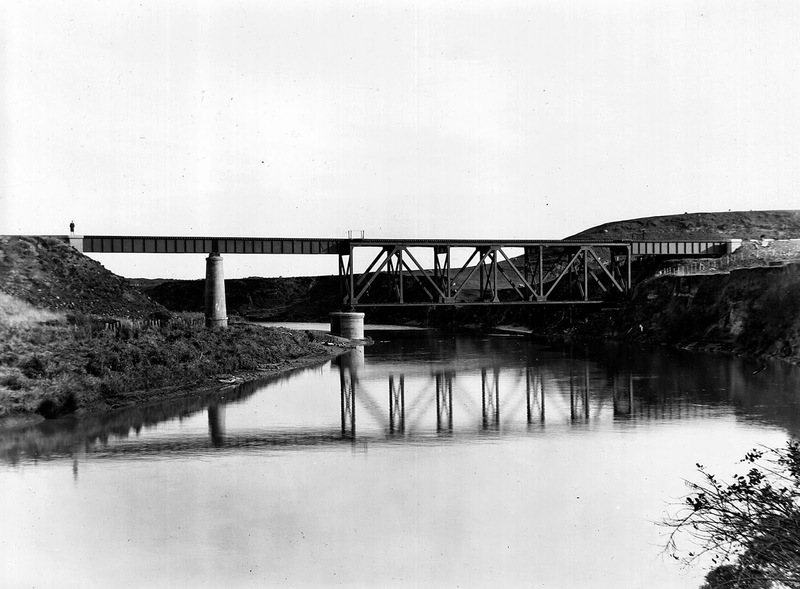 The Waipaoa River just south of Gisborne has experienced record breaking floods on numerous occasions which has led to the bridge crossing it being extended in length twice and now being more than double its original length making it the longest railway bridge in the North Island. The major Cyclone Bola floods of 1988 washed out a section completely and whilst it was repaired, the original section of the bridge was badly scoured and was not restored to its original piling depths, resulting in operational restrictions. In the early 2000s the freight volume carried on the line seldom exceeded one or two trains per week. 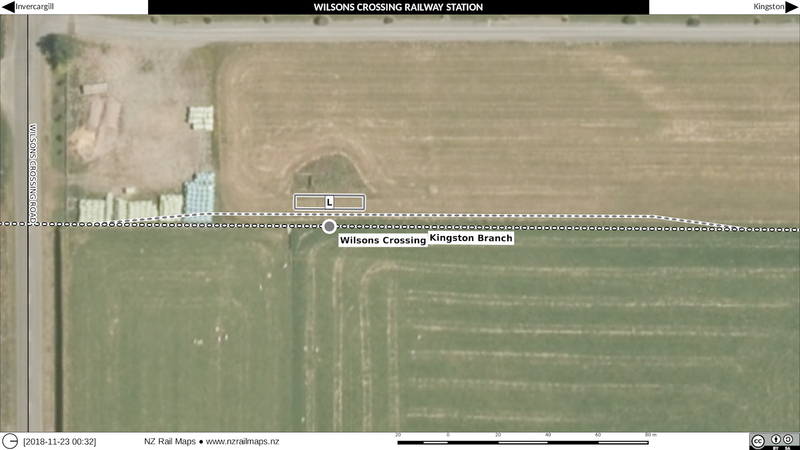 In 2012 there were major washouts in the Whareratas section of the railway (between Waikokopu and Gisborne) which caused the line to be closed back to Wairoa. This was subsequently completely closed north of Napier due to insufficient traffic volume. However the railway from Napier to Wairoa is currently being re-opened to carry logs from forests in the area to Napier port for export. Gisborne in 1948. 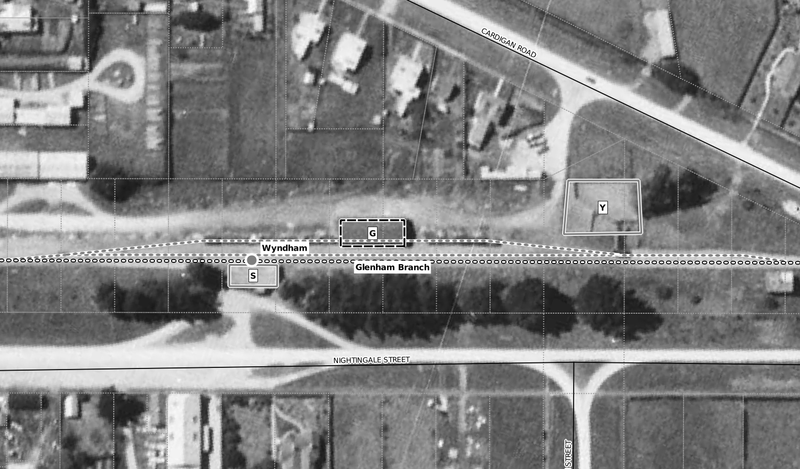 Prior to the completion of the main line from Napier there was the Moutohora Branch and earlier the Ngatapa Branch to service, so the Gisborne station and yard were long established by this time. Gisborne in 1968. 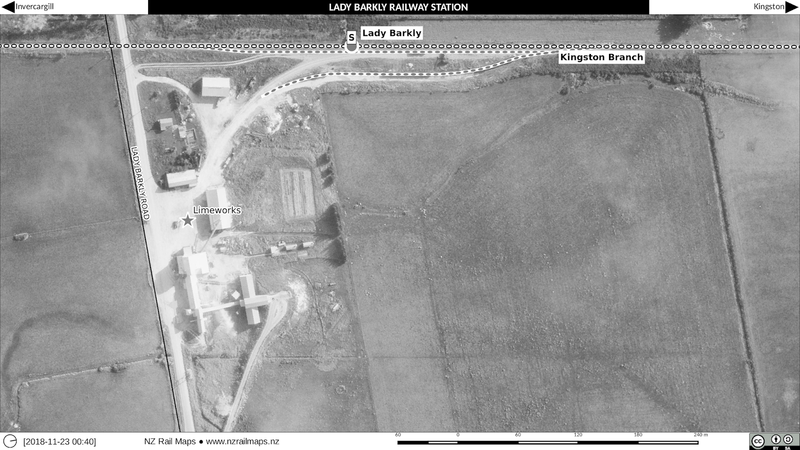 This image shows the most houses that there ever were at the station, and the smaller loading shelter is present at the west end of the yard. Gisborne in 1977. 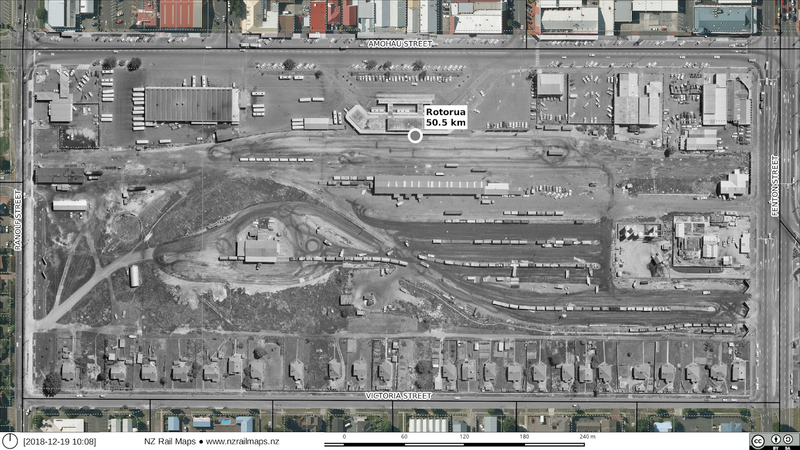 Between the time of the previous aerial photo, Awapuni Road was pushed through the easternmost end of the railway yard. This meant the turntable and part of the engine shed had to be relocated or replaced. Gisborne in 1986. In the post-deregulation era the yard looks emptier, and a number of houses have gone. Gisborne in 2012. The goods shed has gone and a larger freight shelter replaces the small one at the west end of the yard. All the houses have gone, most of their site now occupied by the Captain Cook motor lodge. About half of the freight yard has also been removed. Since Kiwirail closed down the through line the only trains have been summertime vintage steam operations by Gisborne City Vintage Railway to Muriwai; GCVR having taken over the engine shed at the eastern end of the station. The line further east to the wharf has been disused for many years, but steam trains occasionally use it to meet cruise ships at Port of Gisborne. This will be the last posting about the ECMT for a while. I have no plans to map any other parts of the ECMT or its various branches for the present time (even though I did spend some time recently downloading coverage for some other ECMT parts). Rotorua is a well known city in the Bay of Plenty based around Lake Rotorua and is the terminus of the mothballed Rotorua Branch. Like other parts of the ECMT it had various incarnations due to repurposing of different connecting sections as other lines opened or closed. 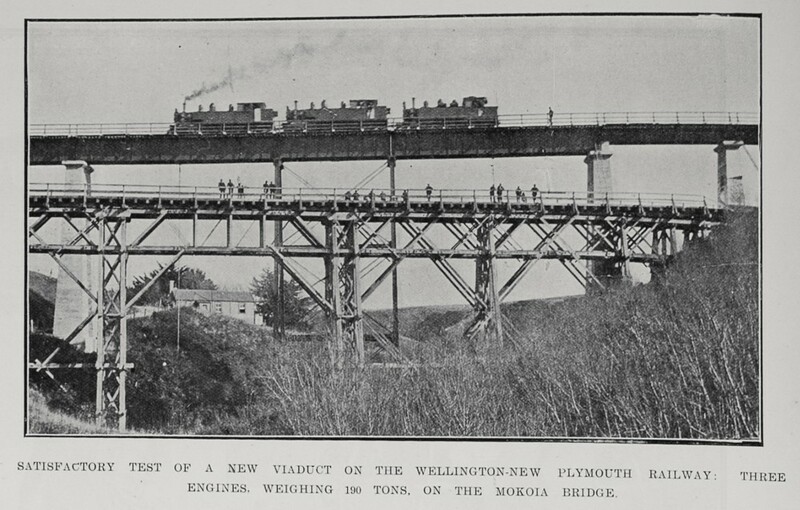 The first part was privately built from Morrinsville to Tirau (a total of 78.5 km) and opened in 1886. It was taken over by the Government soon after and reached Putaruru in the same year. The section from Putaruru to Rotorua was opened in stages between 1893-1894. The total length of the route was then 111 km made up of Morrinsville-Waharoa (24.55 km), Waharoa-Putaruru (36.02 km) and Putaruru-Rotorua (c.50.50 km). 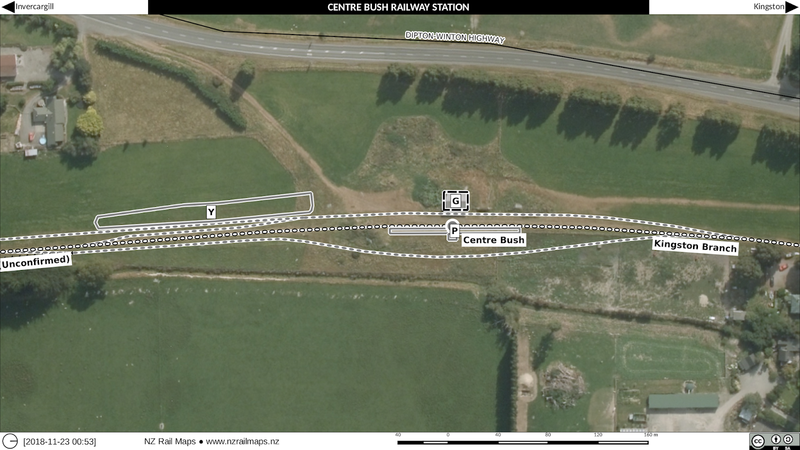 The Rotorua route was one of several proposed to link the ECMT through to Gisborne, which was later considered for a linkup with what became the Taneatua Branch instead, but was never built. 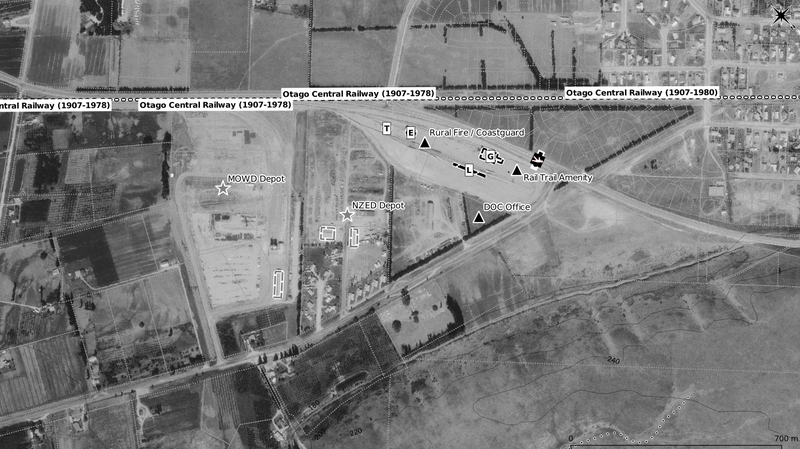 Extensions from Rotorua to Taupo were also considered, along with a freight connection to the Waipa State Mill just south of the city. Again, none of these ideas amounted to anything. The most recent idea has been from the New Zealand First political party which in 2014 suggested that Rotorua could be reached via a new line from Kinleith (one presumes this would bypass the notoriously steep Mamaku incline of the original route) which would continue on to Taupo. Rotorua had passenger services via Auckland from the outset, originally the prestigious Rotorua Limited, which became the Rotorua Express. In 1959 this steam train was replaced by 88 seat twinset railcars, which only lasted until 1968 when the service ceased entirely. Passenger operations were resumed in 1991 with a Silver Fern railcar as the Geyserland Express, also from Auckland. This ceased when the line was shut down in 2001. 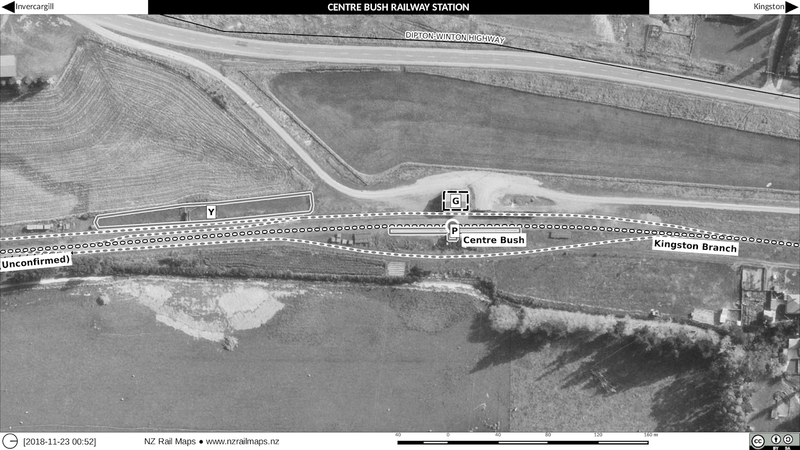 From 1978 the section of the Rotorua Branch from Morrinsville-Waharoa became part of the ECMT main line as the original main line via Paeroa was reincorporated into the Thames Branch and the Kaimai Tunnel, accessed via Waharoa, opened. 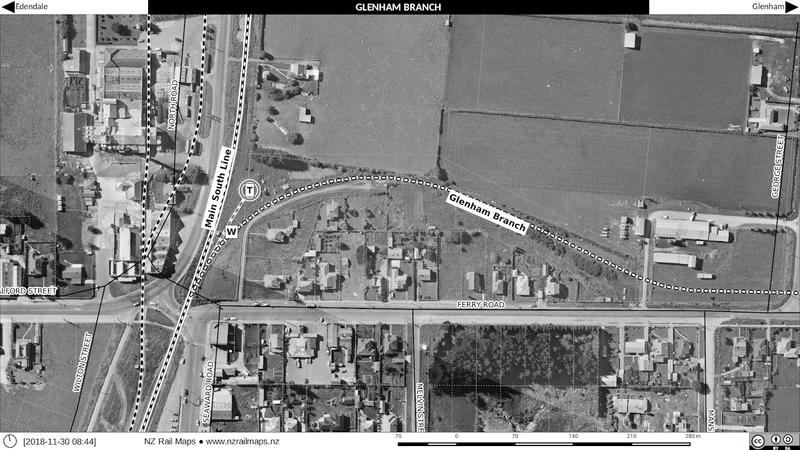 At the same time, the section frm Waharoa to Putaruru became part of the Kinleith Branch that had opened from Putaruru to Kinleith in the early 1950s. 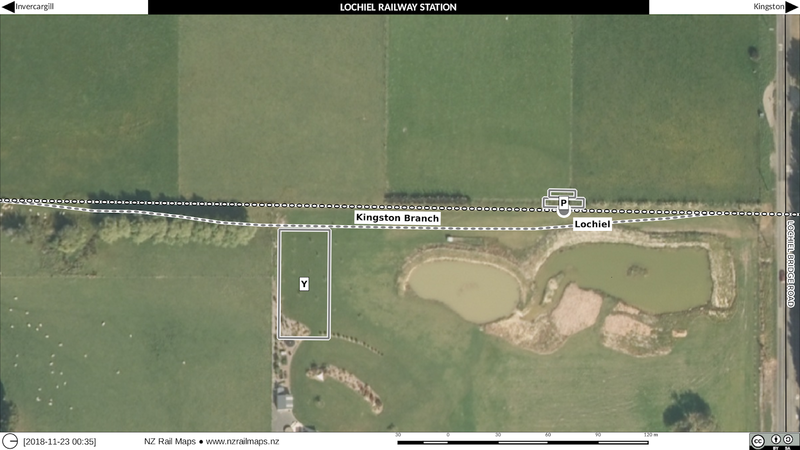 Consequently at that time the Rotorua line was reduced to the 50 km section from Putaruru to Rotorua. The line gradually wound down after the deregulation of long distance freight (which drastically reduced the traffic on the entire NZ national network) from 1982 to 2001 when the passenger services ceased, freight services having been withdrawn the previous year. 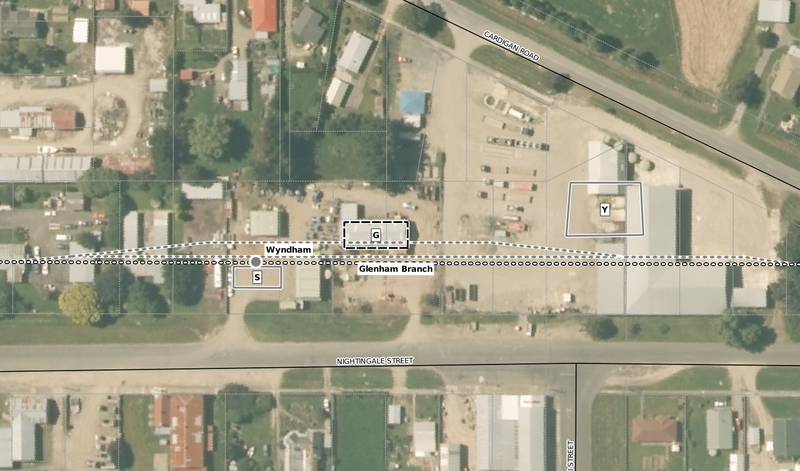 Prior to that, in 1989, the central city Rotorua station was closed with the terminus being shifted 2 km nearer to Putaruru, at Koutu. 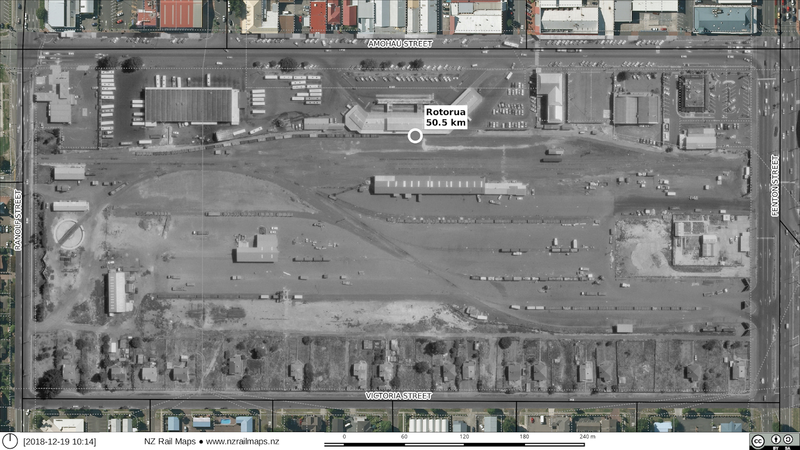 In 1995 the passenger terminal at Koutu moved from the south side to the north side of Lake Road. In 2014 the Lake Road overbridge was demolished, cutting off access to the former freight terminal on the south side of the road. 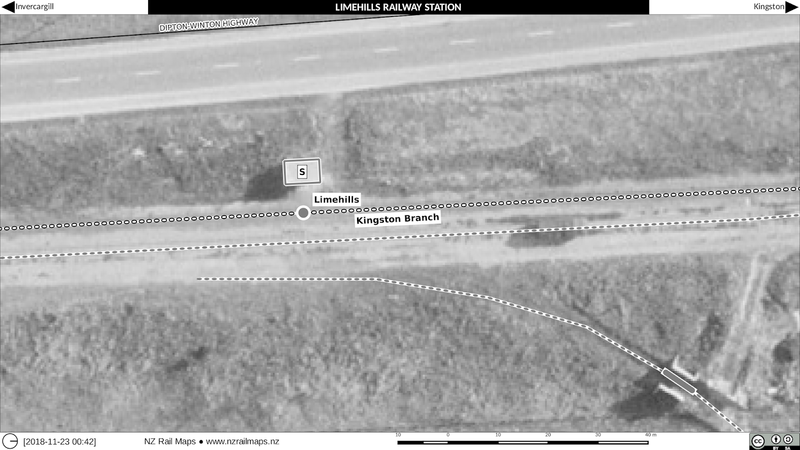 The line is currently partly used by Rail Riders operating self propelled adapted golf buggies ("rail cruisers") for tourists from Mamaku. Some other parts of the line are impassible due to theft of track. 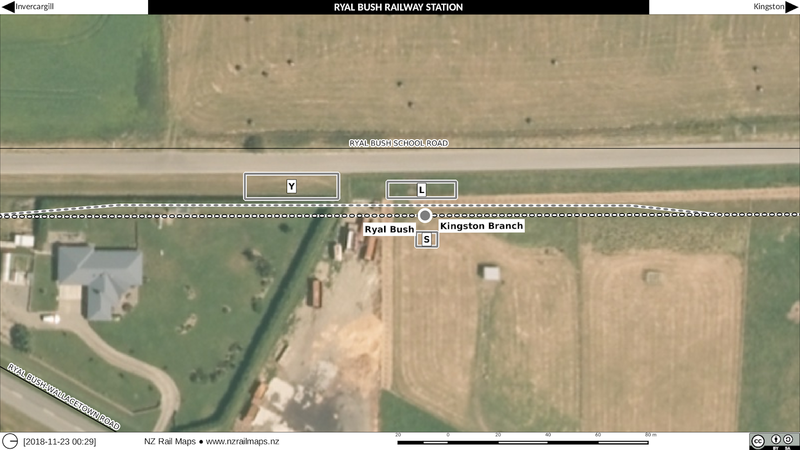 Other tourism or heritage railway proposals such as the Second Chance Train Trust (1990s) and Geyserland Express Trust, later Rotorua Ngongotaha Rail Trust have collapsed. The latter group proposed the re-opening of the line for full freight and passenger operations but this never had a chance of getting off the ground. 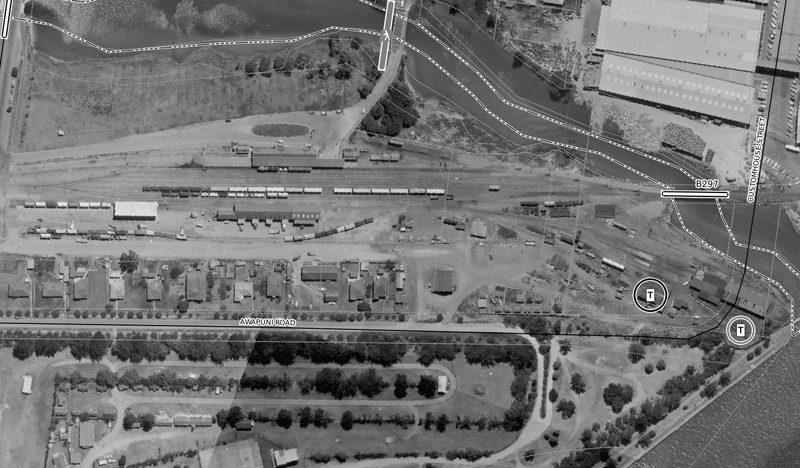 So the five generations of Rotorua begin in 1951 which is our first aerial image as seen below. 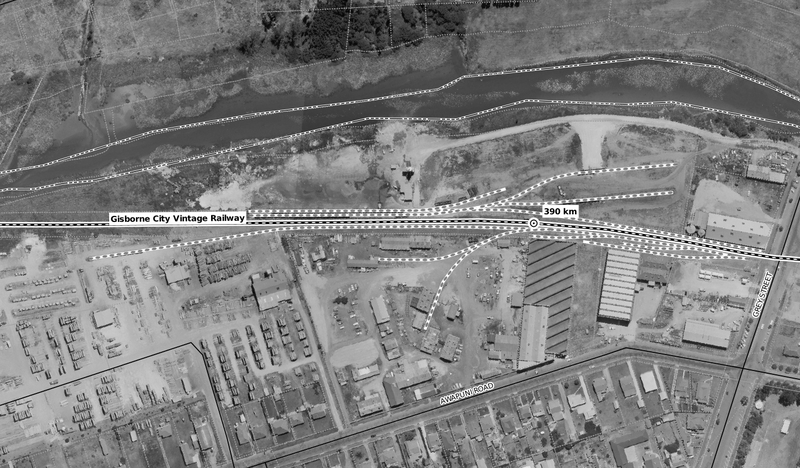 Note the freight yard was relatively small in this era but did have the goods shed (opposite the station) and the stockyard at the eastern end.. The station is the original straight building. The engine depot with turntable is visible at the west end of the yard. 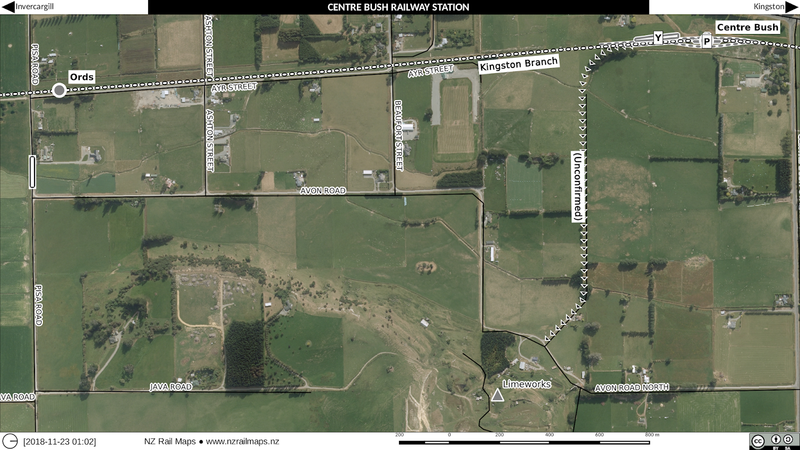 Housing is located all along the southern boundary but a lot of the station land has not been developed yet. Next image is from 1966. We can see very major differences in the 15 year interval between the taking of these aerials. Without doing additional research I can't narrow down the period when these works were carried out. 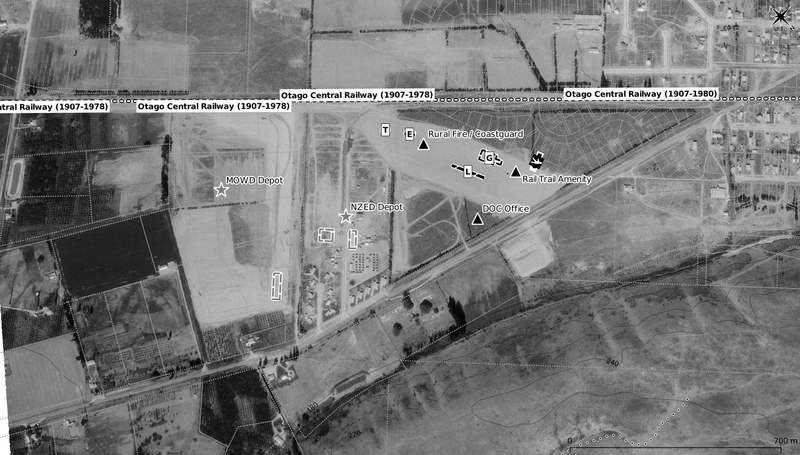 However we can see that there was a major expansion of the freight yards, a new station building set closer to the road, which also had a bus terminal in front of it, and a road services depot building upper left. Some housing at the top right corner has been removed. Next image is from 1972. 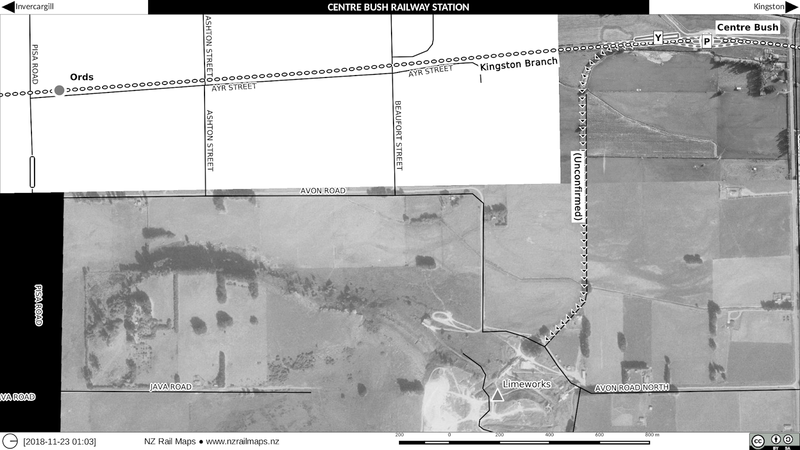 The only obvious change in this instance is the removal of the stockyards at the eastern end of the line, as this was an era when stock carriage by rail was being phased out around the country. Formerly the Rotorua station had carried significant volumes of stock to the freezing works in Auckland. 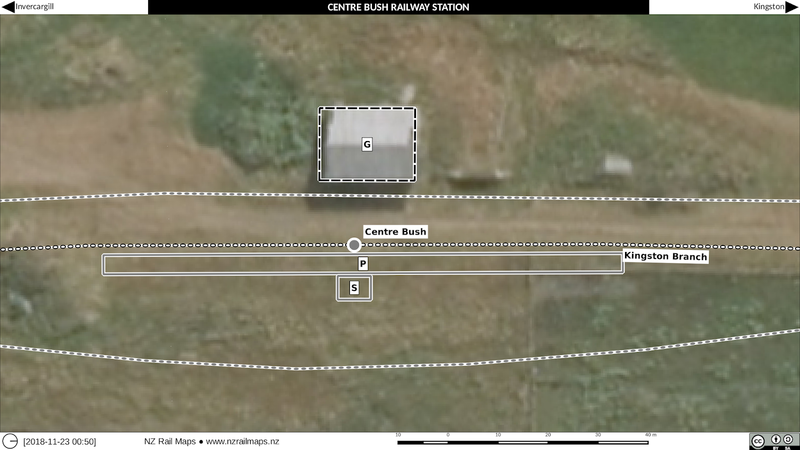 At the western end of the yard there is a new single road diesel era engine shed (replacing the two road steam shed) and the turntable has been replaced at a site closer to Ranolf Street. Up at the eastern end next to Fenton Street the building next to the former stockyards (function unknown at this stage) has gone. Some track in the yard has been altered but otherwise it still looks much the same. A few of the houses have gone. However the station precinct did not have a long life from this point; it was closed down in 1989. This was an era when wholesale slashing and burning of the national railway system was being carried out, resulting in a great deal of valuable central city railway properties around NZ being cleared and sold for redevelopment. 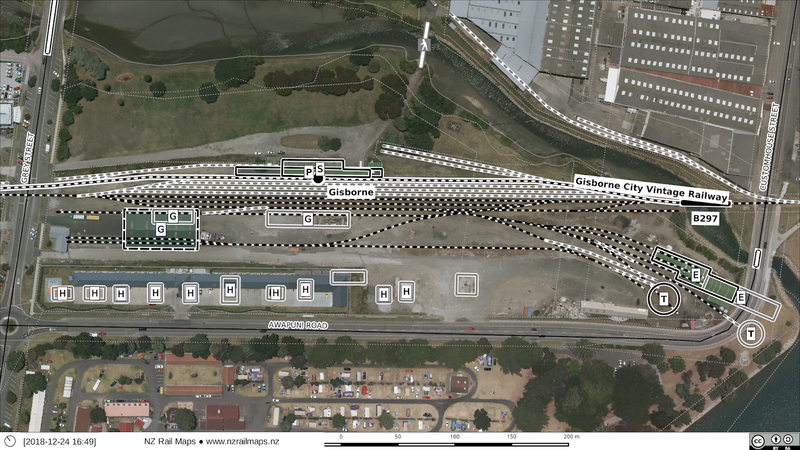 So the central city terminus was closed and the freight yard was relocated 2 km up the line to Koutu. The impact of this decision on the reinstated passenger service that began in 1991 has been hotly debated. 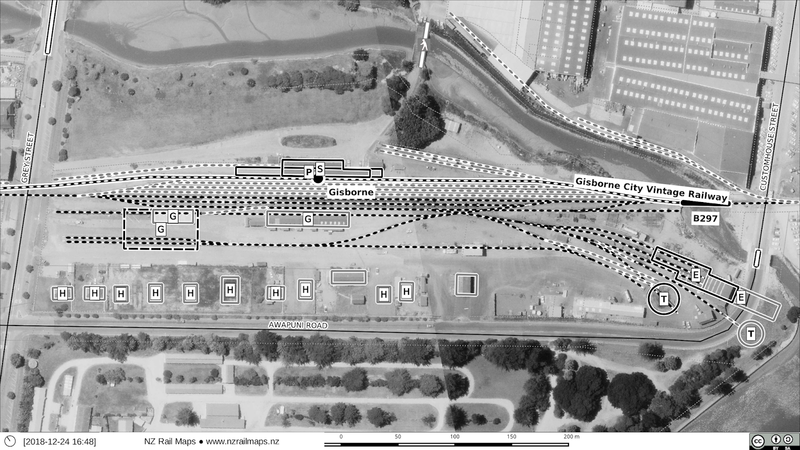 Finally we have the current aerial view of the site. There is practically no continuity between the NZR era and the present day. That is one of the reasons for drawing maps like these, to help people visit on the ground and get a sense of what once was. 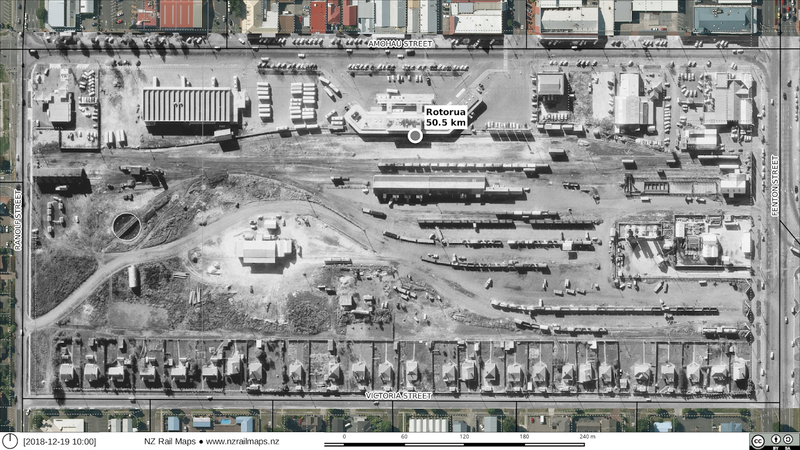 There are just two buildings in the present day site that can be seen on the 1983 aerial photo. 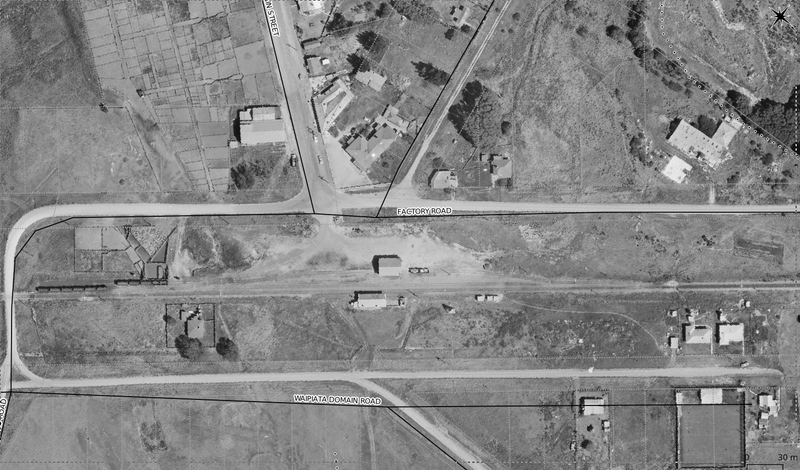 These are the L-shaped building (currently ASB Bank) at the corner of Amohau Street and Tutanekai Street (a smaller square version of this can be seen in some of the earlier aerials as well) and the McDonalds premises on the corner of Amohau Street and Fenton Street. 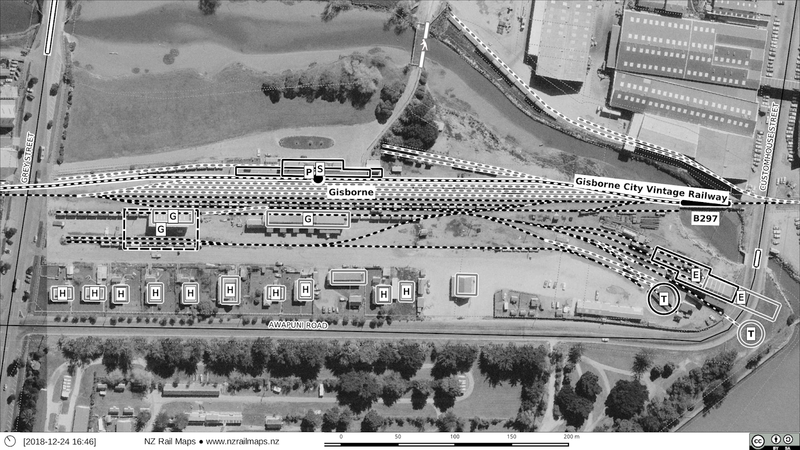 Rotorua Station based on a 1966 aerial photo. In my last few posts I have talked about the PNGL mapping I am working on. I have just about completed downloading the base aerial photography, and are working on mosaics for almost every station on the line. This is Volume 5 of the 12 volume map series and the PNGL and its branches is the entire content for it. 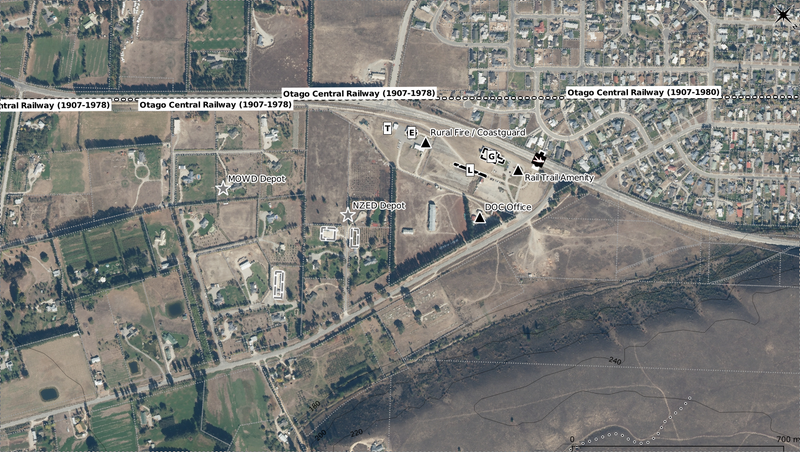 I have also been working on Volume 12 with Otago Central Railway and Kingston Branch (and its branches) maps being developed which will be the entire content of Volume 12. This of course particularly the Otago Central has been a key focus for the past couple of years. The intention for 2019 is to complete both of these volumes more or less simultaneously which is going to be the majority of the work on the whole maps project. These two volumes when complete will add to the existing Volume 7 which was completed a year or two ago which is for the Nelson region. I will also republish all diagrams for all existing lines in 2019 but there is not expected to be any other volumes progressed substantially in 2019. The diagrams will be available only as images, as PDFs are only produced for completed map volumes in their entirety. But with the images being hosted on Google Photos, it will be possible to download a complete set and use them offline. All of the map resources will be accessible from the Wordpress site. At the moment not much is listed there but I will get onto it over time. Each line will have its own sub page with historical and current information about the lines / routes as well as linking to the maps covering that line. Beyond 2019 there is currently increasing competition for my time from other interests and therefore it is difficult to predict how much work will be done on other areas of the maps or other priorities other than those listed above. The maps project will always be an interest but I expect that my current record time commitment which involves work almost every day of the week at present, will change over time to having less time available to produce. So I'm not confident the maps will continue at the same pace as they have in the last two years, beyond next year. As I alluded to previously, Volume 12 and Volume 5 have got special treatment compared to other volumes, in being given a higher priority and having greater use of historical resources in production of the maps. Due to the lower priorities I don't expect the same treatment for the other map volumes. Every map will have base aerial photography based maps and diagrams produced, but there won't be the same level of historical imagery and station detail to be found in other volumes. 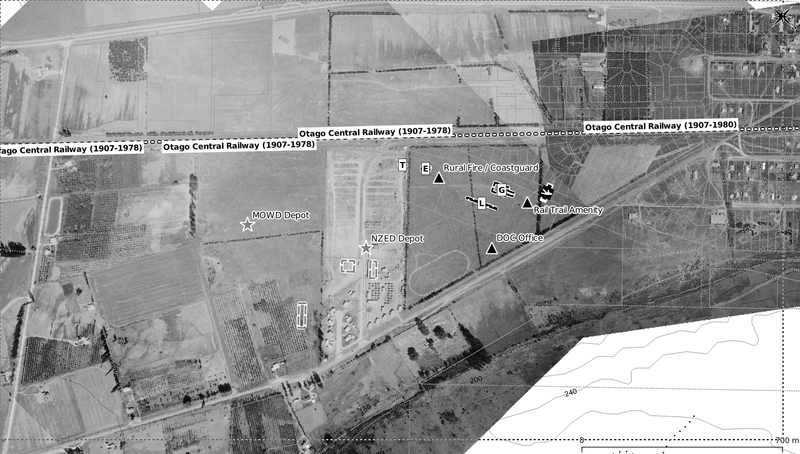 The most complex task of assembling a collection of aerial photography to support a NZ Rail Maps project is almost complete. This one is extremely complex because it has been necessary to access multiple generations of base aerial photography for the same location, simply because after six years of closure much of the current aerials make it difficult to pick out much detail on the ground in places. 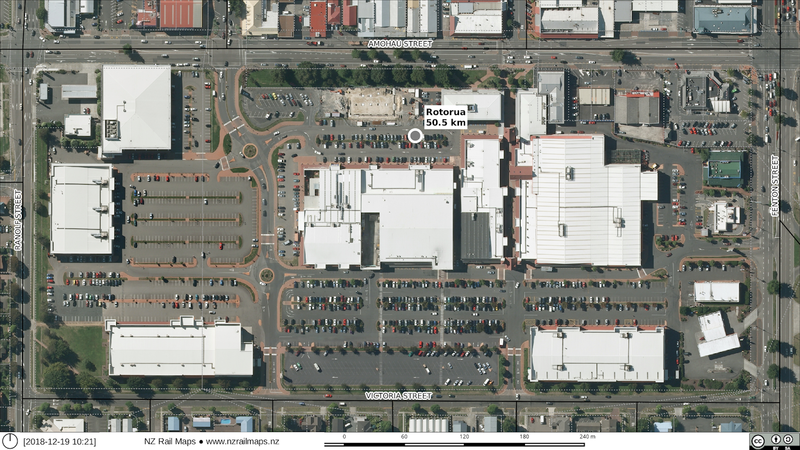 As well, there is higher resolution coverage of Napier, Gisborne and a few smaller locations along the way. 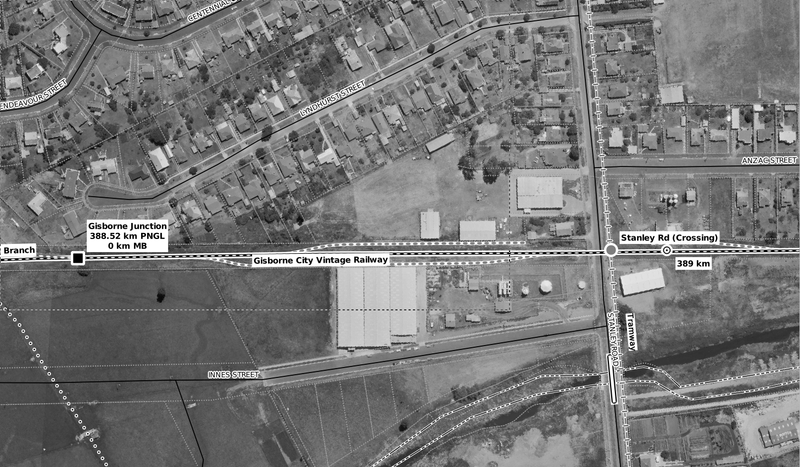 Having discovered the 0.15 metre coverage of Gisborne in particular means I have to redo the mosaics for Gisborne City with the larger scale stuff, but it will be worth it to be able to pick out and display more detail on the ground, because these aerials also date from when the line was open. 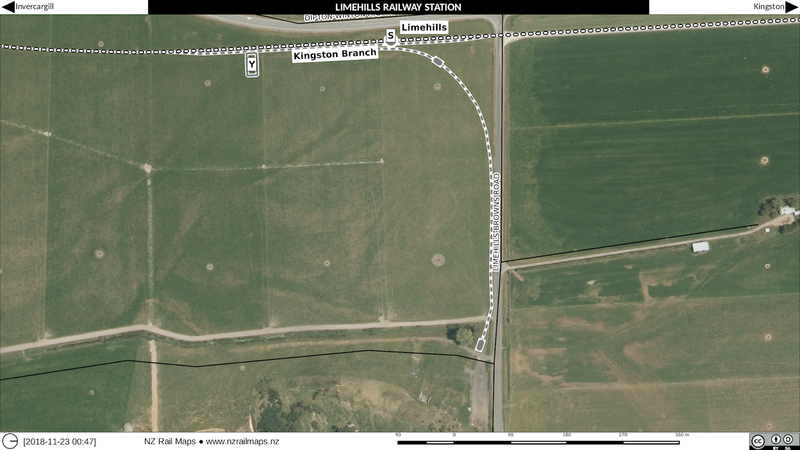 What makes getting the Linz base aerial photography together tedious is their limit of 3.5 GB for a free download. The workaround is to pay hundreds of dollars to have the stuff shipped out on a pen drive. So of course I have to split each source layer into multiple downloads of around 3.5 GB (sometimes they are actually larger, as much as 1 GB greater) and then reassemble them. And because I can only draw a rectangle on the screen to select the area I want, I then have to go through the downloaded tiles and select only the ones I need to cover the railway corridor. This is done in part using a script that reads a layer list and then copies just the files needed. So all those tasks added together makes a lot of work to get what we need together, for just 200 km of track length. So far I have only done the full base aerial imagery for a small number of volumes. The aerial photos and mosaics do take up a lot of disk space on my computer and both are due for a cleanout to free up some disk space. The PNGL map revision project is currently making good progress and has been the subject of a lot of work over the past few days. 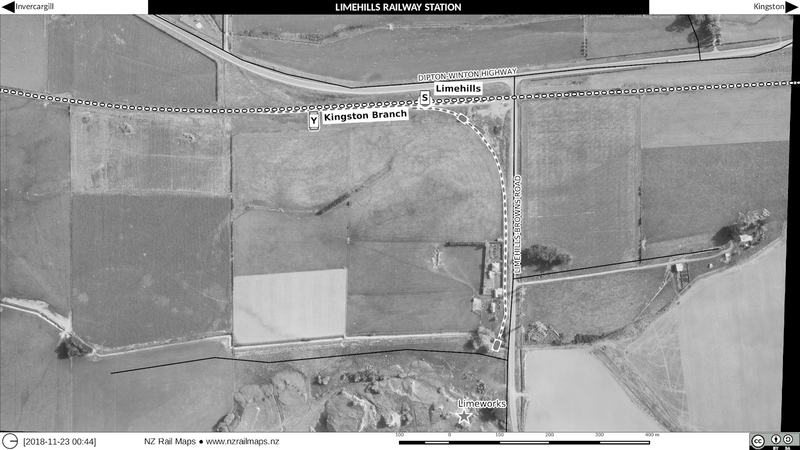 I am now in the process of downloading the base aerial photography for the entire route from Napier to Gisborne. This will be followed at a later date by obtaining the same imagery for Palmerston North to Napier so that the entirety of Volume 5 can be completed and put into a PDF, as well as the other formats. 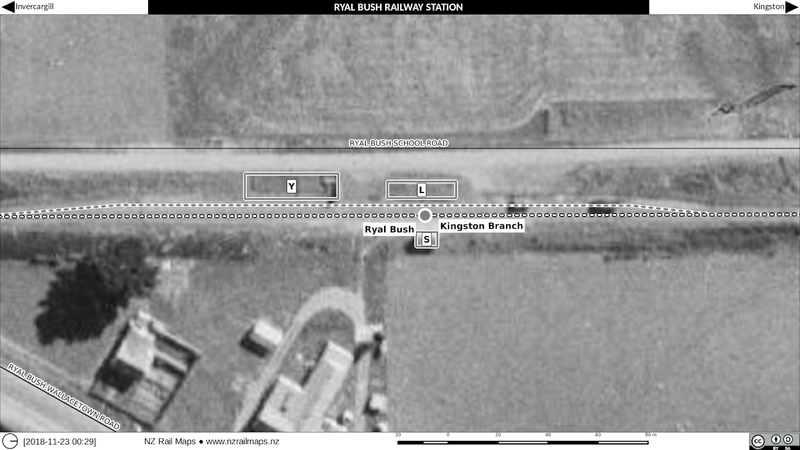 As it turns out, there is historical aerial imagery of just about every station along the route, so I expect to be able to add full station layouts all the way through. This kind of detailing is not something I will do for every line, but it is a kind of goal to be able to do this as much as possible, without it consuming so much time that it takes forever to complete map revisions. With the additional resources I now have at my disposal I expect to be able to speed up some of the mosaic production and therefore push things along a bit more. The overall timeframe is subservient to the Otago Central one, however I expect by the end of this year I will have all the aerial imagery I need (including mosaics) and be working on the maps on a regular basis. Once the mosaics etc are completed then drawing layouts off them is relatively quick and easy. After NGL it is PNL and then the Moutohora and Ngatapa lines will have to be added for a complete Volume 5 and that will take a fair chunk of 2019 I would think. But I definitely hope to get Volume 12 complete right alongside Volume 5 and there is a lot of Volume 12 work also to be completed so let's say I plan on both volumes completed within the next 12 months. Beach Loop 1986 in the first photo, and in the second, last year. 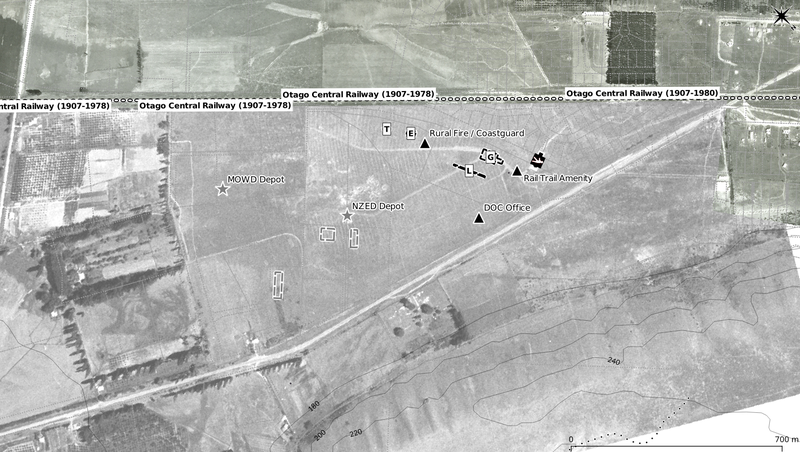 Ranfurly using the 1973 aerial survey as a background. 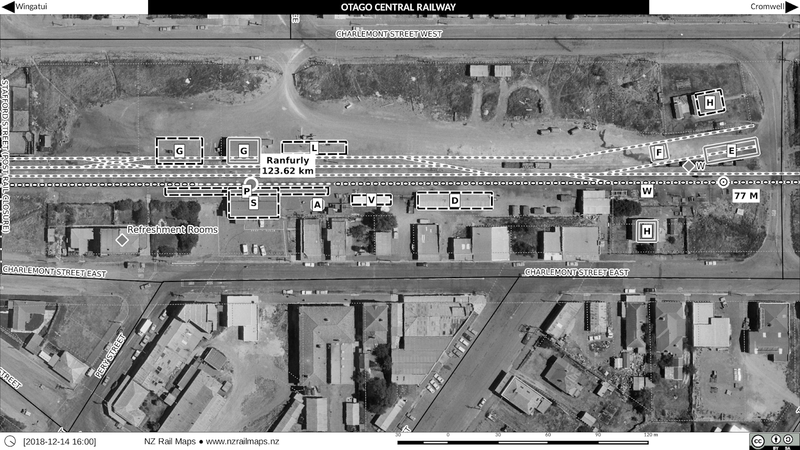 Ranfurly is a nice little railway precinct with virtually all the buildings intact except for the first goods shed and the first engine shed, and is a complete contrast to Alexandra where only the station platform remains. At the moment I am busy downloading all the base aerial photography for Napier-Gisborne which is slowing down Volume 12 stuff a bit but it is coming together and I will be revising some more of the Central stuff over the weekend. It's been four years since I published the maps for this section (Volume 8 in the old volume numbering scheme) and having road tripped the entire length of the route in June this year it's time for both updates to the core maps and a more user friendly format for use in the field, especially when offline. This is something I flagged a few months ago and have dabbled with a little, but I have now decided to start working on it over the coming year. 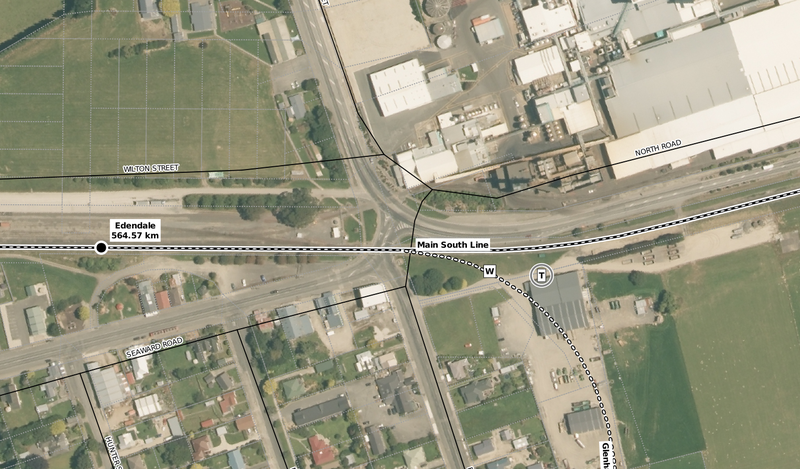 Part of the mothballed section from Napier to Wairoa is currently being reopened by Kiwirail. The original schedule from earlier this year was to publish the current diagrams in the new format. However I now plan to update the diagrams with current aerial photography over the next month or two. The slower part is yard diagrams off historic aerial photography that will maybe be one post a week at most over the coming year because of other priorities. Map work will start with Napier, which is approximately halfway along the route, and go in both directions. I have already published some aerial photos and map work for Gisborne City recently. From Gisborne I will eventually take in the branches but they are a lower priority for map completion at this stage. 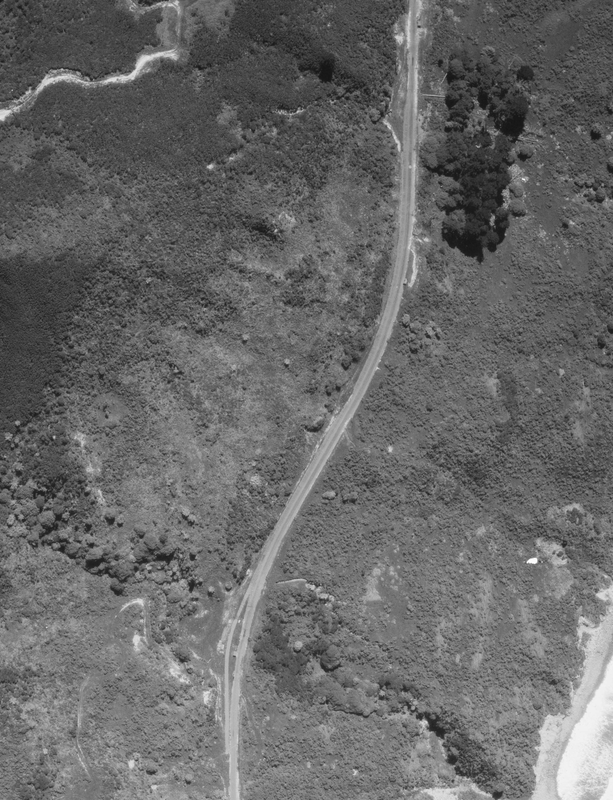 An aerial photo of Napier in 1973. 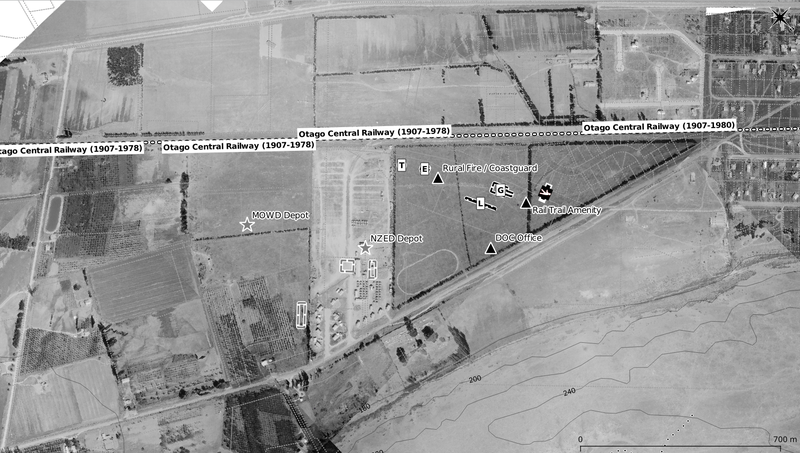 It's two months since I started a series for the Middlemarch to Ranfurly section of the OCR. There weren't at that stage any maps in production for the series. Since that time I have gone back and redone some of the earliest maps with new higher resolution coverage which has thrown the whole schedule back. Right now however I am quickly putting some mosaics together for a number of different stations while I am also updating all the maps as quickly as I can. So I hope to get a fair bit done over the holiday period in terms of progress on a number of the different maps and catch everything up a bit. I had spent quite a lot of time over the past week or so looking at other areas but right now it is just Central I have decided to focus on. 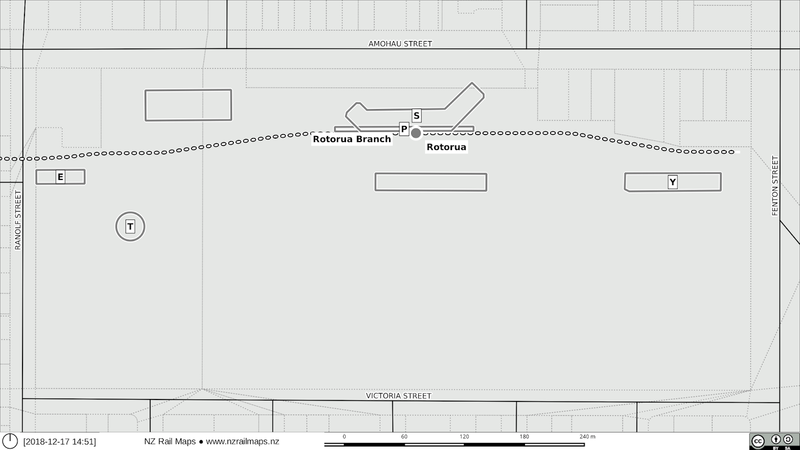 This map is an overview of Waipiata in 1975. 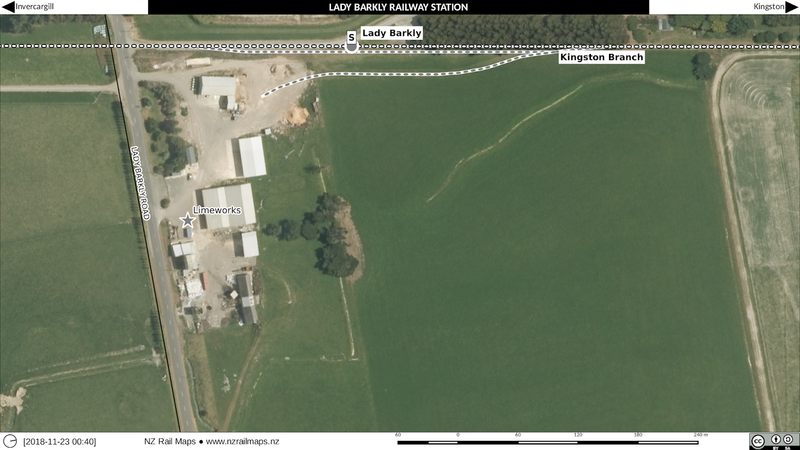 Although only just south of Ranfurly, Waipiata was still open at that stage and in fact stayed open almost to the end of the line's closure in 1990, although only as a crossing station. There seems to have been a major stock yards there at the time although not today. 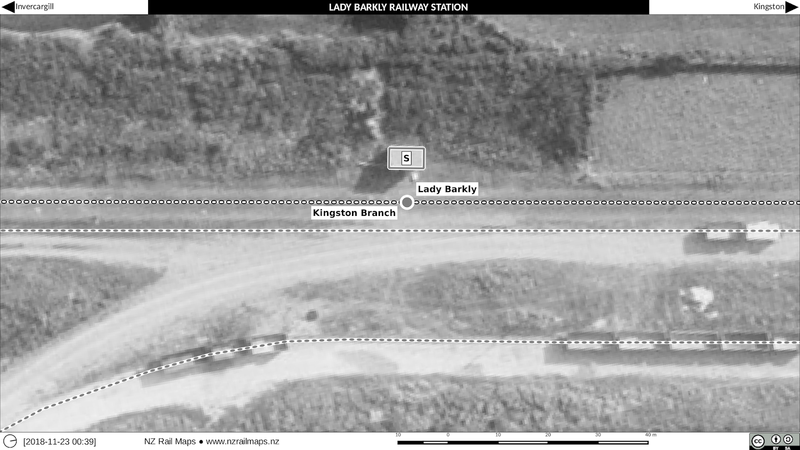 Of the railway features you can see in the picture, what remains today is the loading bank and the left hand house. 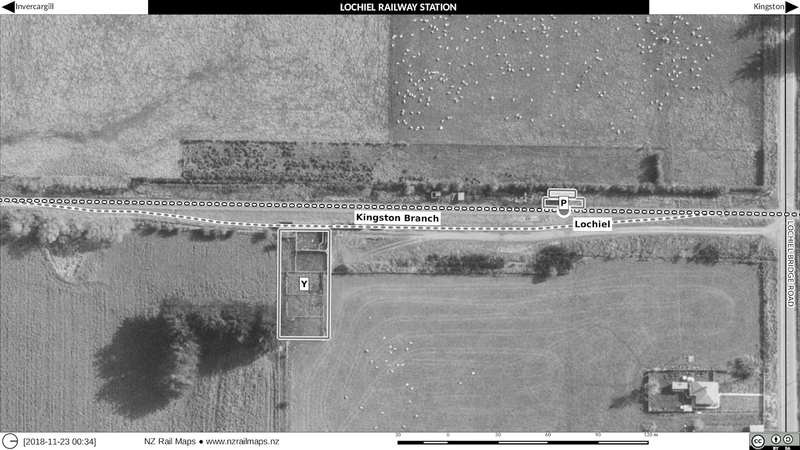 The goods shed was relocated to a site across the main road and a small part of the station building is nearby in Komako Road. A private crib made up of a refurbished wooden carriage and guards van is also in Komako Road. 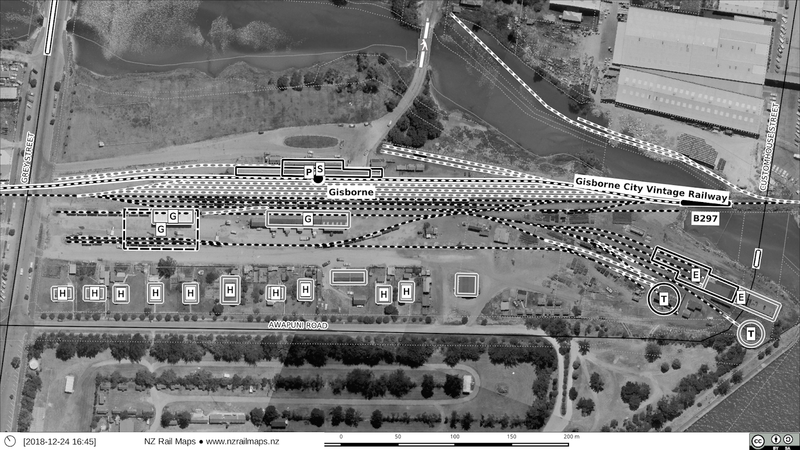 Last time I posted the 1972/77 aerial photos of Clyde station had some problems that needed to be fixed. It looks like the aerial images of a 1977 survey were significantly distorted, perhaps the plane that took the photos was not level. Anyone who has used a data projector knows about keystone adjustments you have to make because the lens is not exactly square on to the screen and the shape of the picture is distorted. The same thing will happen when an aerial survey is made and the plane is not level either laterally or longitudinally or maybe the camera is not mounted properly in the plane. Aerial photography generally uses a special plane with a camera mounted in the bottom of it looking straight down. 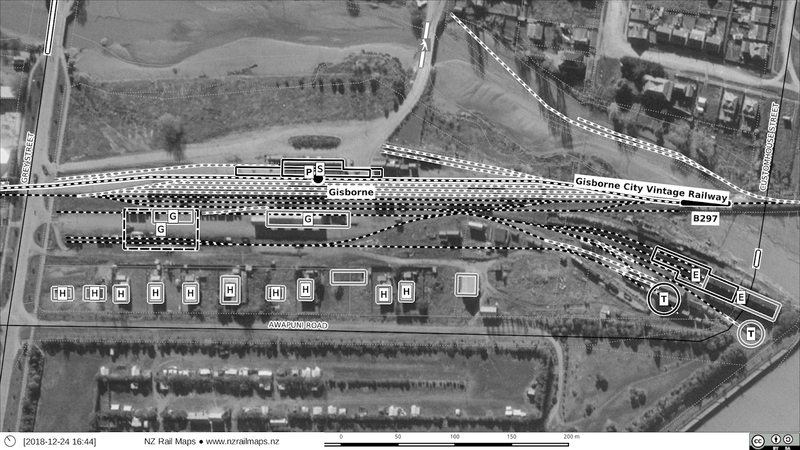 There are other distortions that are caused by varying terrain height and on the modern aerial photography we get from Linz they run it through a computer program called orthorectification to mathematically correct these issues caused by different ground level heights, however the Retrolens photos are just straight scans of the original negative and not orthorectified in any way so especially on hilly terrain you will see such variations. But on what is a fairly flat part of Clyde over 1 mile there wouldn't be expected to be the amount of variation seen and which wasn't seen on the other generations of aerial photos. 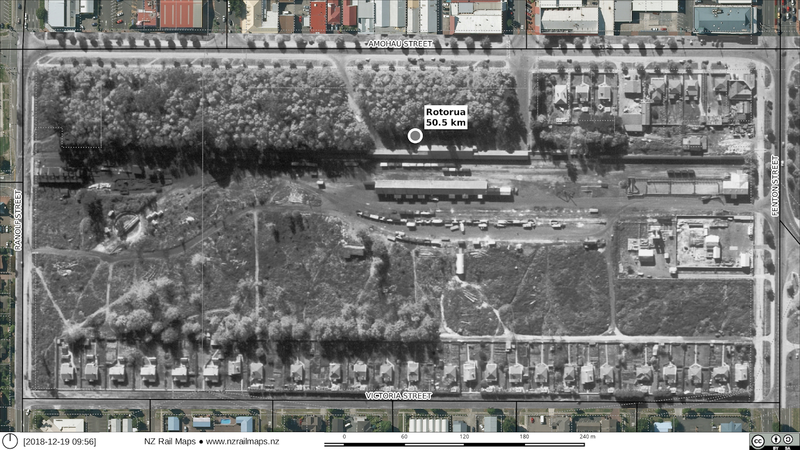 The result was something like 30 metres displacement in one particular area which is a lot. It took all day yesterday to find a workable solution with a different image of most of the area to the one that was first used. Here are the two images for 1972/77. The first one is the original, and the second one is the corrected one. Now that the 1972 series has been fixed, I found that the rail corridor on the 1962 series does not line up with 1972 series, so that also has to be adjusted. So back to Volume 12, this time back to working on the Otago Central again. 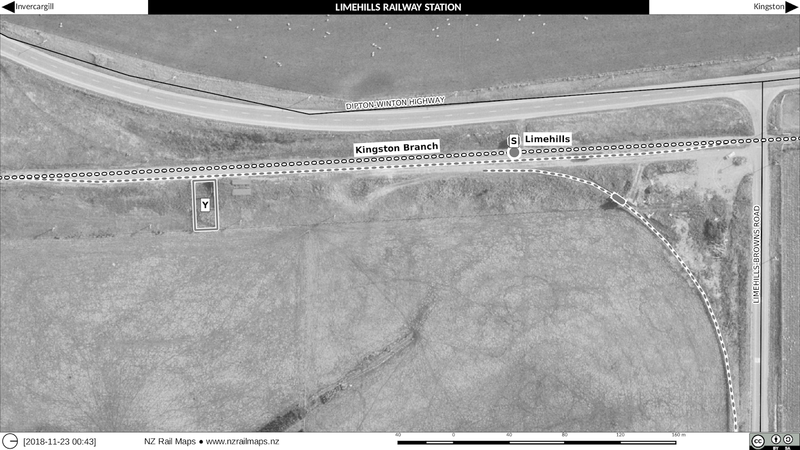 Having done the maps last month for the first Clyde station, now I have to get to work again on the 2nd station. The mosaic has turned out to have an issue with the section particularly relating to 1977, that has to be fixed, so that will take a part of today before I can update the maps for that area. 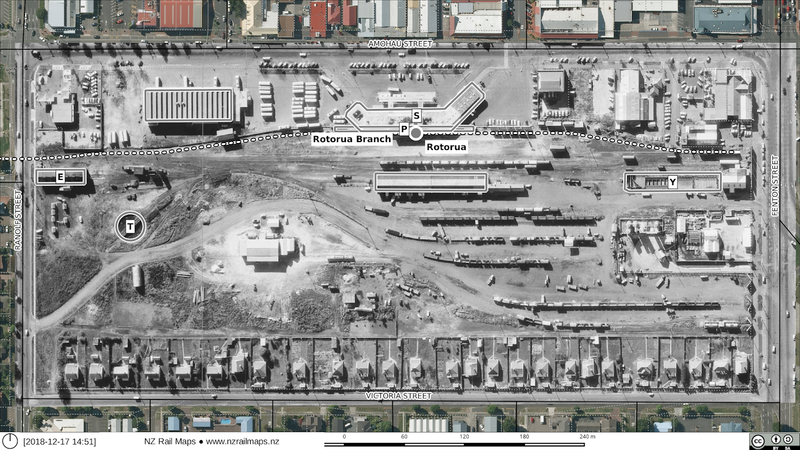 Here are a range of views of this area - 1962, 1978, 1985 and present.